There are just 13 weeks until Memorial Day. Whether you're looking to tone up, have more energy, have more confidence on the beach this summer or lose the baby weight (if you lose 1-2 pounds a week, you could be 20 pounds lighter by then!) ... the 21 Day Fix can help you reach all your goals. What's even better?! We'll give you a $10 Amazon gift card as a freebie bonus making the 21 Day Fix program totally FREE this round when you purchase Shakeology! 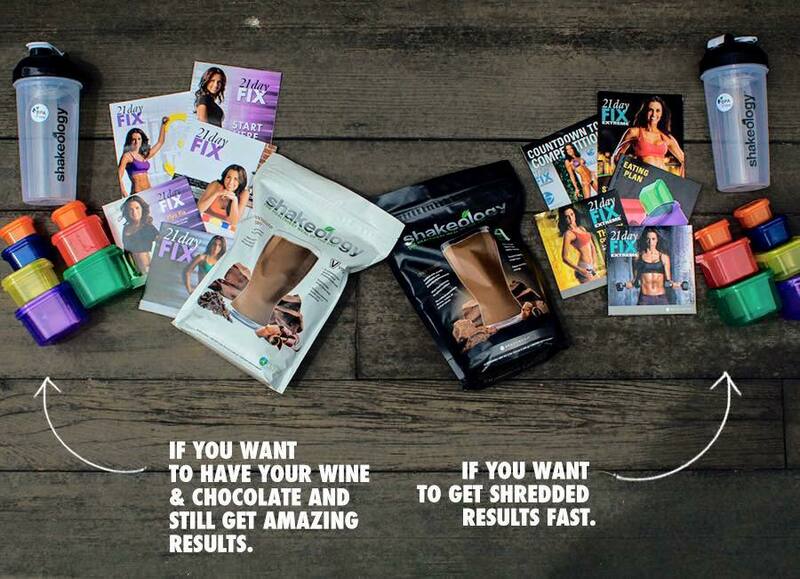 If you want to have your wine & chocolate still, you can totally do so and still get amazing results with the 21 Day Fix. If you want MAX results, FAST ... bump up to the 21 Day Fix Extreme (our personal fav workout!) to get super shredded in just 21 days. Free fix feb sounds intriguing! free fix feb free fix feb free fix feb - help meeeeee! !